Skytopia > Projects > Technology/science articles > The Top 20 Applications for an Infinitely Fast Computer (article first created on 13th July 2009). ...But on the other hand, the reverse could be true. 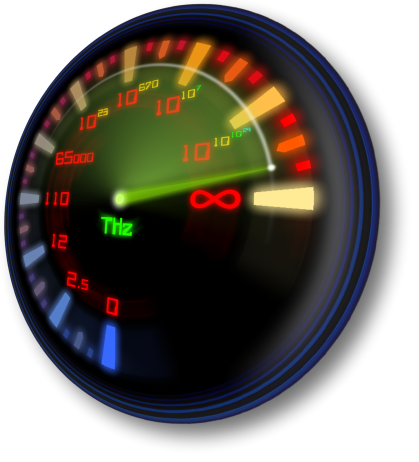 Maybe we subconsciously expect infinite levels of speed, and detest the limits we have to endure. Perhaps we loathe optimising and pandering to the whims of the CPU only to find that the running speed still isn't up to par. For sure, there are many problems and tasks which require exponentially faster speeds than anything we have today. And even our best algorithms don't come close (or can't ever come close) to solving them. Nice quote, but did he bargain on an infinitely fast CPU? And that's what this article will address. The potential that lies in an infinitely fast computer. Not just one that is super humungously fast (tm), but one which pops out the answer in O(0) each time, every time. Finally, we'd be able to beat a 9th dan Go player, and words such as "intractable" or "combinatorial explosion" would lose their sting. Of course, truly infinite speed is as much a pipe dream as infinite free energy, and it's true that we may reach a temporary upper limit to CPU power by 2020. But we always have the promise of multi-core and even quantum computing to help quench our thirst. While truly infinite speed may be forever beyond our reach, these technologies may eventually help materialize at least some of what's below. And hence we present the top 20 (well 17) applications that would benefit most from infinite speed (or close enough), starting with the least desirable, and finishing with the dream application. 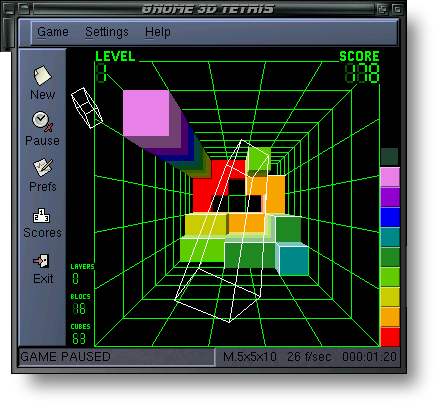 Zero latency and infinite memory is assumed throughout. 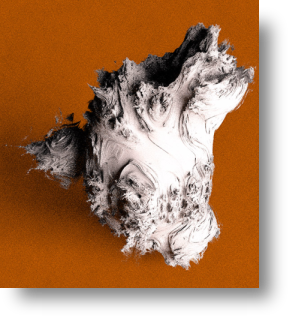 This excellent 3D Mandelbrot-shaped picture (rendered by Thomas Ludwig) looks like the real deal, although inspection will show it's not quite what we're looking for. Okay, maybe I'm biased here, but I had to tag this one in. Fractals can be awesome creatures, but realtime exploration isn't possible due to the calculations needed for deep zooming, decent antialiasing (up to 32x32 per pixel oversampling needed for maximum quality! 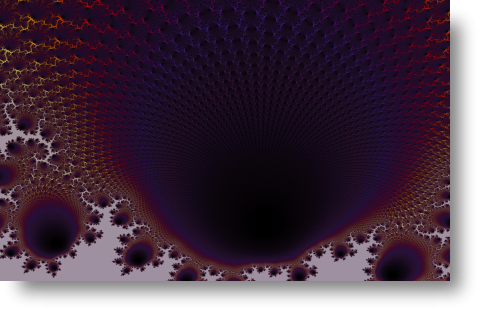 ), and for more complicated fractals including raytracing of 3D fractals. Furthermore, with CPU speed limits a thing of the past, we can hunt for the "Holy Grail" of fractals - the real 3D Mandelbrot. We covered this curious beast in an earlier article, and theorized that it would look like the most awesome fractal ever. If it existed. 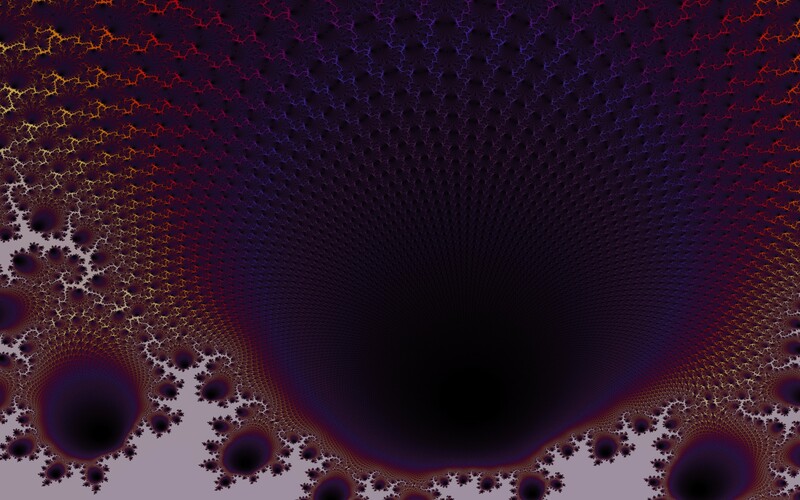 For fractal images like this, one needs to render at least 16x16 samples per pixel for quality results. Here's the 1920*1200 wallpaper. The idea would be to brute force though trillions of different formulas, render them all, and see which resulting 3D picture comes closest to the mathematical translation of a: "3D cardioid style apple core surrounded by spheres", or even just "smaller spheres touching other spheres, and yet smaller ones tangent to those". More compact, elegant formulas would have preference over drawn out arbitrary formulas which may produce trivial/fake versions of the aforementioned design. Using infinite CPU power is an odd way to solve such an intriguing problem, but frankly I don't care how it gets solved as long as I can glimpse the 3D mandelbrot for even one second. A very simple and obvious use, but one that would prove very welcome. The GUI of the OS would become much more responsive with no apparent lagging or freezing. Yes, even in Windows Vista potentially. Unfortunately, Moore's Law's evil twin - "The Great Moore's Law Compensator" (TGMLC) may strike with an equal but opposite force. It'd be pretty hard to create code so slow and bloated that it nullifies the effect of an infinitely fast CPU, but I wouldn't put it past say, Symantec or Adobe. There are a wealth of industries that rely on packing something into a space the most efficient way possible. Likewise, cutting material to minimize waste is a tricky problem, at least in the 2 dimensional version. Actually, it's probably the NP-Complete 3D packing problem which would benefit most. As yet, there's no polynomial algorithm found which would help here. And evidence hints there won't ever be one. Infinitely fast CPUs eat these kind of problems for breakfast however. 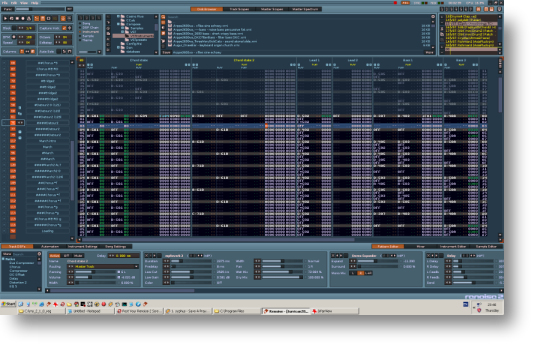 Renoise uses a way of composing quite unlike software such as Reason, Sibelius or Cubase. Music is entered via a grid-like array, rather than a piano roll. It's tricky to use at first, but in my opinion at least, once you get used to it, it's ultimately more efficient. Unlimited amounts of speed would be a boon for composing, especially when today's VSTs (effectively software synthesizers) can gobble 20% or more of the CPU per channel. Programmers needn't worry about efficiency, and can concentrate on simplicity in their VSTs. Multiple effects such as echo, reverb, phase, or EQ can be set for each track/channel, again without having to worry about annoying hiccups in the playback. Coding kludgy workarounds such as 'freezing' will be a thing of the past, as will latency/timing issues. On the sound processing front, it's still difficult to generate perfectly simulated reverb or time/pitch stretching on the fly. Any other number of effects, particularly those involving FFT, or countless 'granules' and overlaying of sound would become possible, unleashing new musical possibilities. 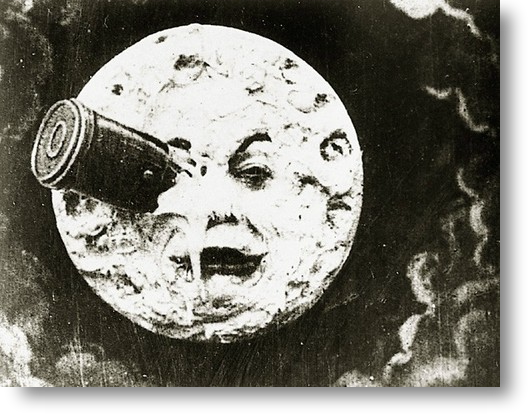 Source: Le Voyage dans la lune (A Trip to the Moon) (1902). Although we may not find intelligent life on the moon, we should use the moon's farside to set up a SETI base. This will help avoid the atmosphere and EM noise that earth telescopes have to endure. SETI could use the speed to analyse galaxies for possible signs of life. Analysing the EM signals our telescopes receive is not an easy task. Amongst the noise, SETI has to look out for particularly dominant signals. That sounds reasonable until you consider that there's mountains of sky, multiple Libraries of Congress worth of frequencies, and that any communication is likely to be pulsed if the alien life is intelligent. There's also the difficulty of doppler shifting, where any possible frequency slides up or down slightly. Currently, SETI is maximizing its chances by spying at the most promising frequencies (inside a few megahertz) and the best parts of space (1 part in 3 million), but to truly cover everything (including finer analysis of the signal), all things considered, it wouldn't hurt to have around 10 quadrillion times (10^16) the processing power, or over 10^22 times faster if we were to do it all one PC (SETI currently has 3 million users).